The Cebu Metropolitan Cathedral is a 15th century cathedral that has weathered the world war and many natural calamities. Today, it is a grand building that is an amalgamation of Spanish architecture and Philippian influences. The Corinthian columns and arched stained glass windows give the church a beautiful look. The altar is adorned with gold and is absolutely breath-taking. A number of locals attend daily masses that are peaceful and spiritual. Nearest bus stops: Colon Obelisk, Dept of Foreign Affairs, Cebu City Hall. 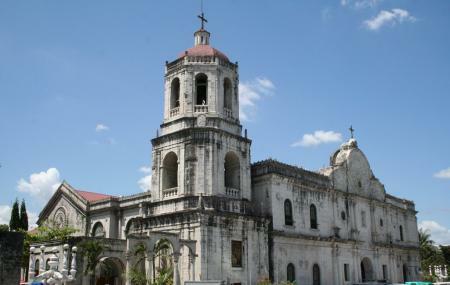 How popular is Cebu Metropolitan Cathedral? People normally club together Basilica Del Santo Nino and Magellan's Cross while planning their visit to Cebu Metropolitan Cathedral. This cathedral is part of any travelers' bucket list when coming to Cebu, and this cathedral does not disappoint. The proud yet regal look of the church is reminiscent of its long heritage. Hundred of years of history are written in its walls by the all the cracks and imperfections. To be in the church feels so light and peaceful. The statues are witnesses to triumphs and atrocities, to happiness and sadness, to highs and lows. To be here is a must.